For the very best in Lake Elsinore Plumber services, call 951-428-1565 today. You will soon receive the expertise and customer service you deserve. And for the savings you deserve, make sure to visit our coupons page. We are pleased to offer a complete range of plumbing services. Every kitchen should be equipped with a professionally installed garbage disposal system for their convenience, the benefit to the cleanliness and health of your home, and for the benefit to the environment. Cleaning up after dinner is a much quicker task when you’re able to send food scraps right down the drain. And by disposing of this waste immediately instead of putting it in your kitchen’s garbage can, you will be preventing the growth and spread of bacteria and eliminating unpleasant odors. You might be surprised by the volume of waste and the number of garbage bags that won’t end up in landfill site thanks to your garbage disposal. Furthermore, since food waste sent down the drain increases the methane in wastewater and many water treatment facilities are now converting the methane contained in wastewater into biofuels, you are contributing to the generation of a renewable energy source. There aren’t many household issues that make homeowners shudder more that the thought of the sewer line in your home failing. But not all sewer line troubles result in calamities. The symptoms you may observe could include water draining more slowly than usual, strange and unpleasant odors coming from your drains or occasional water backing up from drains. Damaged sewer lines are often caused by the roots from nearby tree, shifting or settling earth over time or as the result of an earthquake or simply wear and tear due to the age of the sewer lane. You would like to know what others thought of our work before you try us out? You can read some recent reviews by clicking here. If your sewer line requires repair or replacement, our skilled team will work to have the job completed as quickly as possible and with the least amount of disruption to your home. 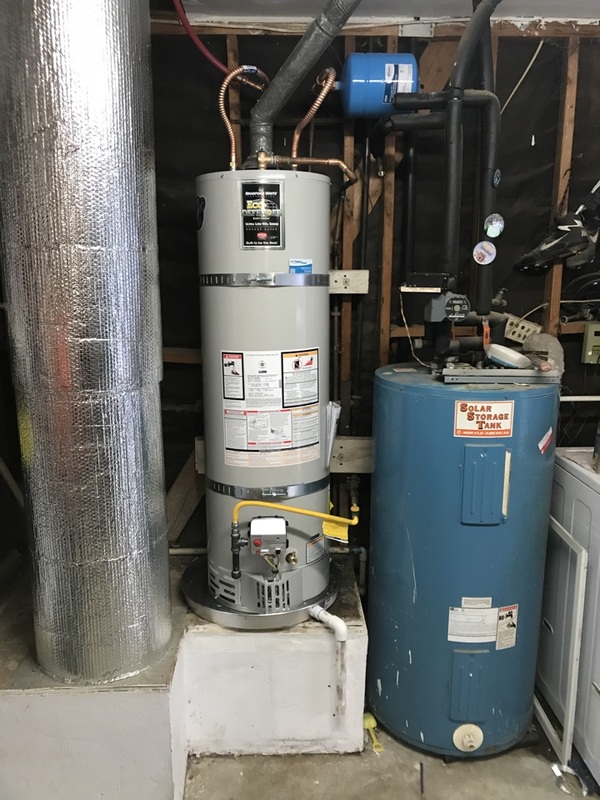 Installing a 40 gallon Bradford white water heater in lake Elsinore ca. 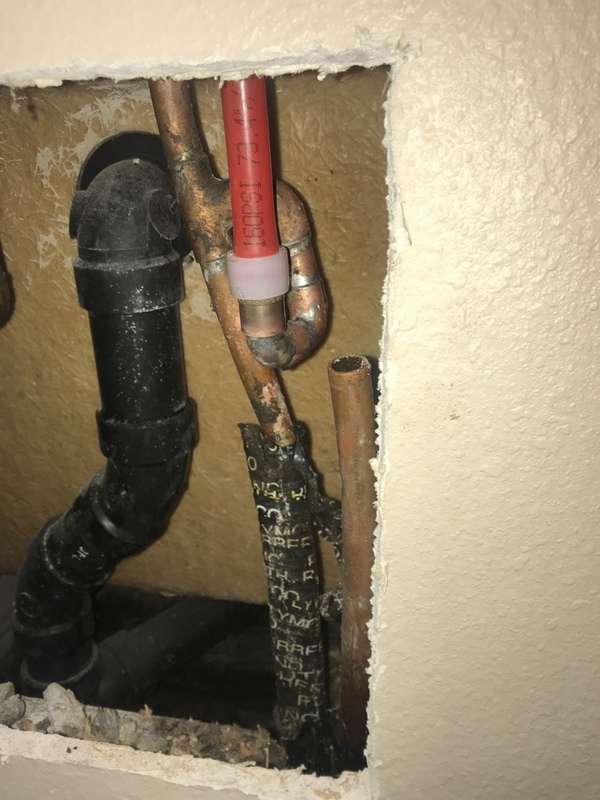 Performing a reroute repair due to a slab leak on the 1/2” hot water line feeding master tub and shower, line traced with electronic leak detection and repair completed with only four drywall holes in lake Elsinore ca. 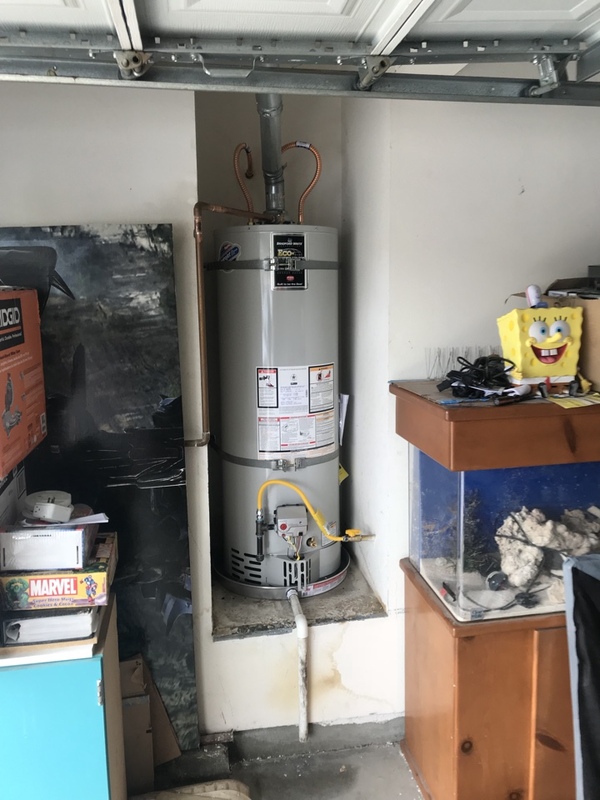 Installing a 40 gallon water heater in lake Elsinore ca. Call 951-428-1565 now for the finest plumbing service and the best customer service available in Lake Elsinore.